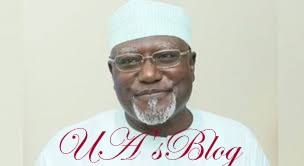 Abdulwahab Abdulrahman, an ex-aide to the sacked Director General of the Department of State Services, DSS, Lawal Daura, has accused his former boss of extensive corruption. He portrayed him as a man who serially betrayed his boss, President Muhammadu Buhari, for money. Daura was dismissed by the Acting President, Prof Yemi Osinbajo on Tuesday following unlawful invasion of the National Assembly by men of the security agency. Abdulrahman, who retired as a senior DSS official, claimed that Daura also betrayed Buhari by serving as a mole for Bukola Saraki, the Senate President. “He will go and get information on plans for (Senate president) Bukola (Saraki) and then leak it to him,” News Agency of Nigeria, NAN, quoted the ex-aide as saying in an interview. Daura, who led Nigeria’s domestic spy agency since 2015, was abruptly fired, on Tuesday, by Acting President Yemi Osinbajo after he ordered a blockade of the National Assembly. Abdulrahman said President Buhari never knew Daura until he was introduced to him by the late Sen. Mustapha Bukar in 2015. He then disclosed how Daura warmed his way into the heart of President Buhari’s cousin, Mamman Daura. Abdulrahman said when they resumed, they always closed late at work, often at about 2am. “What we were doing was mostly receiving Ghana must go filled with cash brought by enemies of government to him. “The rate of corruption on that fourth floor was too much and the President doesn’t deserve this. Similar allegation emerged Tuesday after Daura’s removal, with many accusing him of working for Saraki against the government.